12265 Six Ponds Ln, Isle of Wight County, VA 23430 (#10247075) :: Abbitt Realty Co. Horse lovers dream! 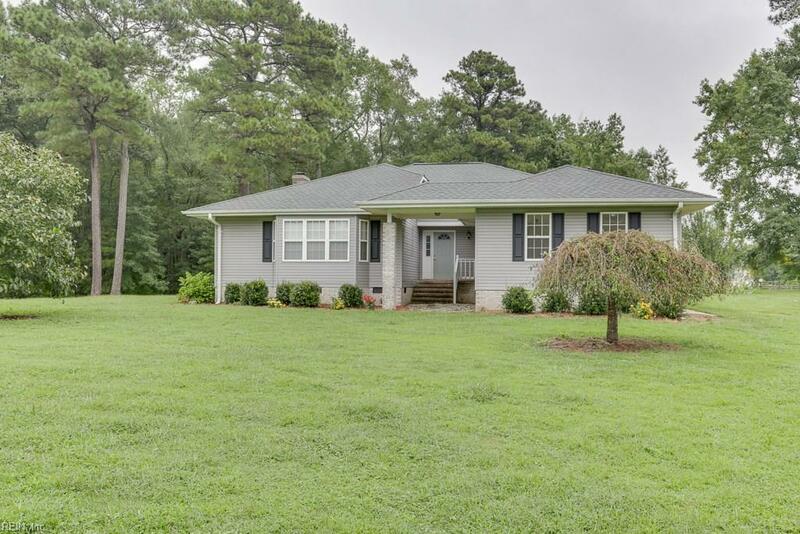 This home sits on over 10 acres with two pastures, wooded areas and an in-ground pool! Perfect peaceful retreat in the country! Featuring 3 bedrooms and 2 full baths with a large open floor plan & cathedral ceilings. Master bath has jetted tub and huge closet. Relax by the pool, read a book in the large screened-in porch while enjoying the country breeze, or entertain on the deck. The in-ground pool has newer liner and pump system. POA fees cover private road maintenance for $150 per year. There are two fenced pastures, one is 2 acres and the other is 3 acres, with plenty of shade for the horses. Six Ponds Farm community was designed as an equestrian community with bridle paths throughout. Come live the country life with a touch of class!